Docking stations have a steel composite design for reduced overall weight and rugged construction for long-term durability. Includes a 3 year limited warranty and lifetime on all NON-electric components. Rear-facing I/O ports, integrated cable strain relief and management system to eliminate additional strain on your cables. 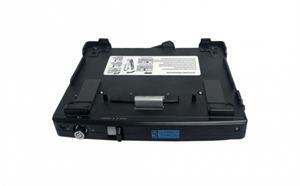 Can be used in either laptop or tablet orientation. 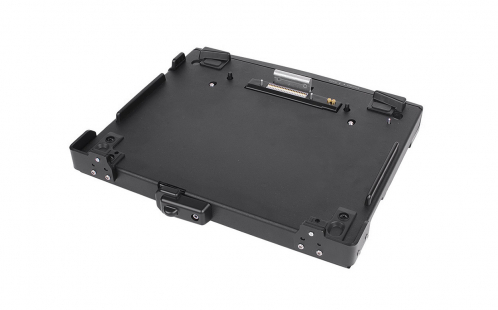 Spring-loaded docking connectors ensure your computer stays connected even in the toughest terrain. Front safety bracket and rear corners ensure proper alignment and docking connectivity. Keyed lock for theft deterrence. 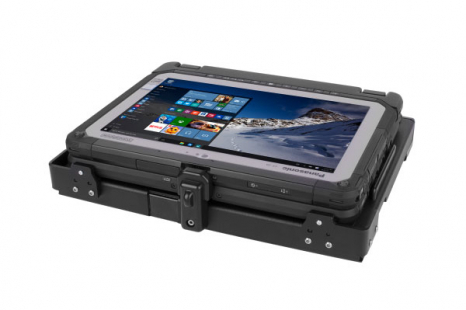 Testing & Certificates: The CF-20 is designed and tested to rugged environmental standards. 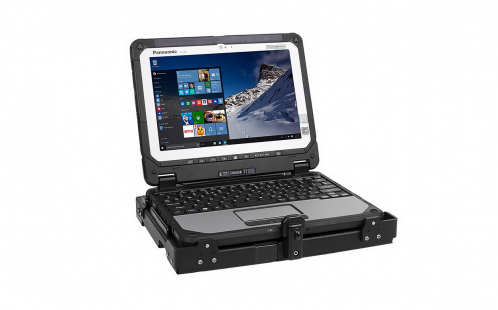 It’s Toughbook Certified, and has passed MIL-STD- 810G shock/vibration, RoHS, C-Tick, E-Mark, FCC, and CE testing.